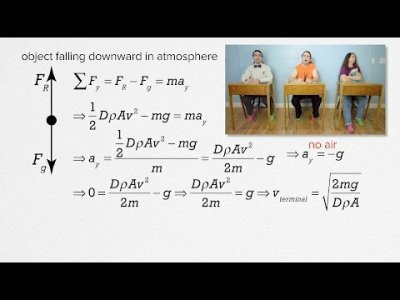 Calculus based review of Newton’s three laws, basic forces in dynamics such as the force of gravity, force normal, force of tension, force applied, force of friction, free body diagrams, translational equilibrium, the drag or resistive force and terminal velocity. For the calculus based AP Physics C mechanics exam. Thank you to Aarti Sangwan for being my Quality Control help.